I'm a developer that builds apps for iOS. Feel free to browse through the apps that I've been a part of, view the open source libraries that I've released, or contact me if you'd like to get in touch. Automatic turns just about any car into a smart car. 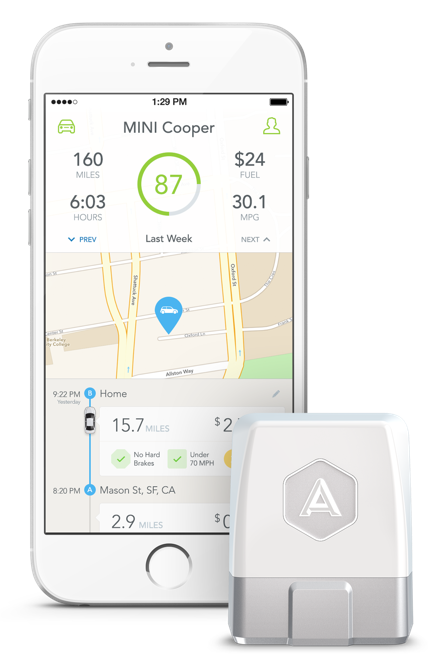 By plugging Automatic’s award-winning adapter into your car, you can enhance your driving experience with a host of apps on the Automatic platform. These applications can diagnose engine trouble, call emergency responders in a crash, help save money on driving, and more. You can find the Automatic app on the App Store. You can learn more about Automatic on its official site, Jalopnik, TechCrunch, CNET, Wired, Engadget, Fast Company, The Next Web, PCMag, Yahoo! Tech, Popular Mechanics, Product Hunt, and SlashGear. I worked on the Automatic iOS app from 2014 until 2017 as an engineer and occasional designer. Automatic was acquired by SiriusXM in April of 2017. In 2017, over one million miles a day were driven with the Automatic apps and hardware by tens of thousands of users. MapQuest is a turn-by-turn navigation app from the company that started the online mapping revolution. You can find the MapQuest app on the App Store and the Play Store. You can learn more about the MapQuest app on its official site, Wired, TechCrunch, Business Insider, ZDNet, PC Magazine, Engadget, Fast Company, TUAW, and SlashGear. 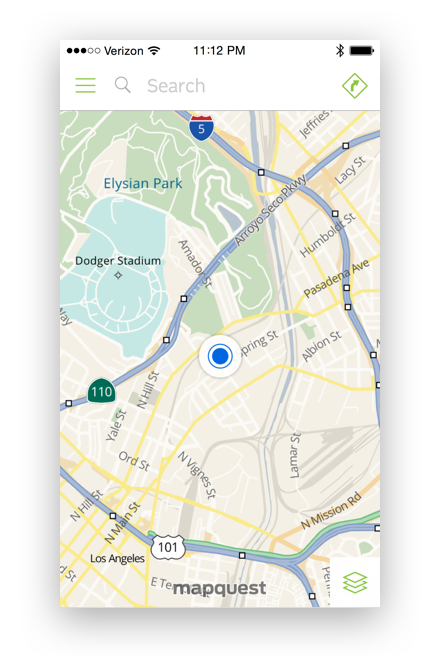 I worked on the MapQuest mobile apps in 2013 as a product manager and occasional developer at MapQuest/Aol. Within just a month of their November 2013 release, the MapQuest apps received over 4 million downloads. The Stanley Film Festival showcased classic and contemporary horror cinema, set at the historic Stanley Hotel in Estes Park, Colorado. 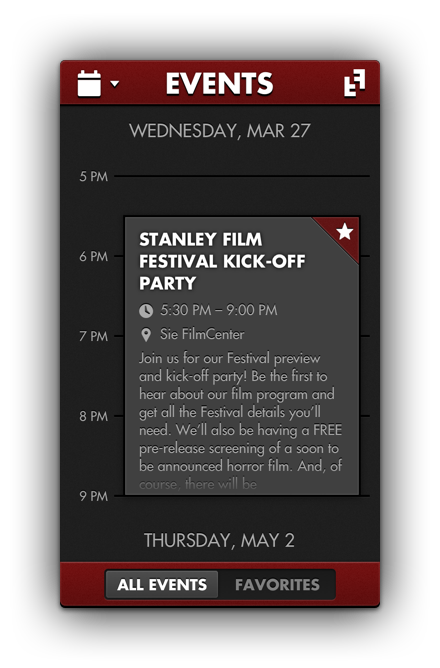 The Stanley Film Fest app served as a perfect companion for festival attendees. You can learn more about the Stanley Film Fest on NBC News, Forbes, Indiewire, and The Hollywood Reporter. I worked on the Stanley Film Fest app as a designer and developer in 2013 with Devon Tivona while at Monospace as client work for the Grand Heritage Hotel Group. MapQuest Travel Blogs were the perfect way to seamlessly capture all of your memories from your journeys. You could easily edit, view, and capture your adventure—online or offline. You can learn more about MapQuest Travel Blogs on Yahoo!, The Next Web, TUAW, and the Aol. Blog. I worked on the MapQuest Travel Blogs app as a designer and developer with Devon Tivona and the MapQuest Mobile Team in 2012 and 2013 while at Monospace as client work for MapQuest/Aol. The MapQuest Travel Blogs app was originally the Everlater Travel Blogs app, written during my time at Everlater Inc. from 2011–2012. Everlater was acquired by MapQuest/Aol. 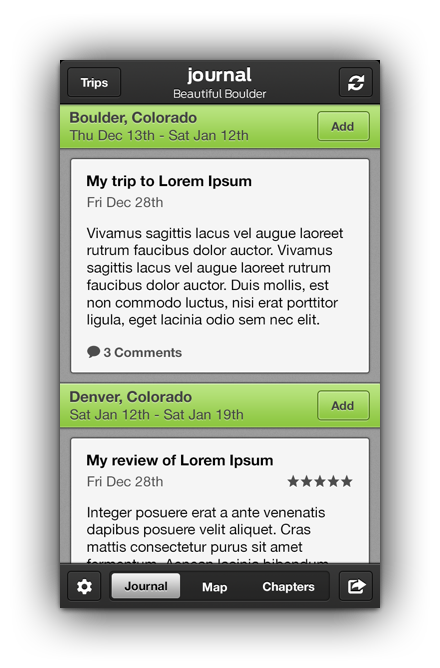 in 2012 and the Everlater app was subsequently integrated into MapQuest as the MapQuest Travel Blogs app. 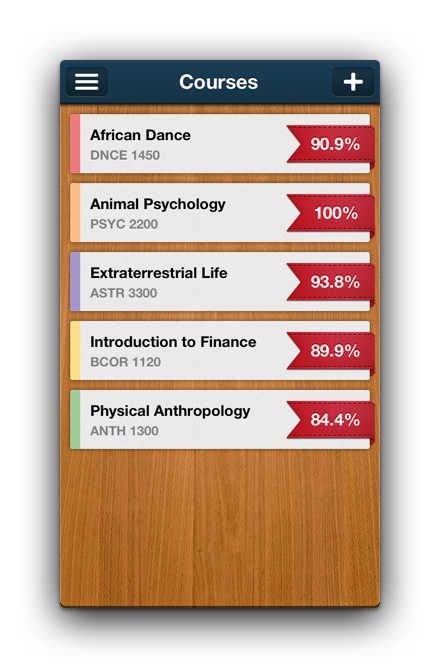 Erudio was an app that effortlessly and intuitively organized the chaos of classes, assignments, readings, grades, and exams that students face every day. You can find out more about Erudio on its official site. I worked on Erudio as a designer and developer with Devon Tivona in 2012 and 2013 while at Monospace. GrowlVoice was an intuitive and fully-featured Google Voice client that brings the power of Google Voice to your Mac's menu bar. 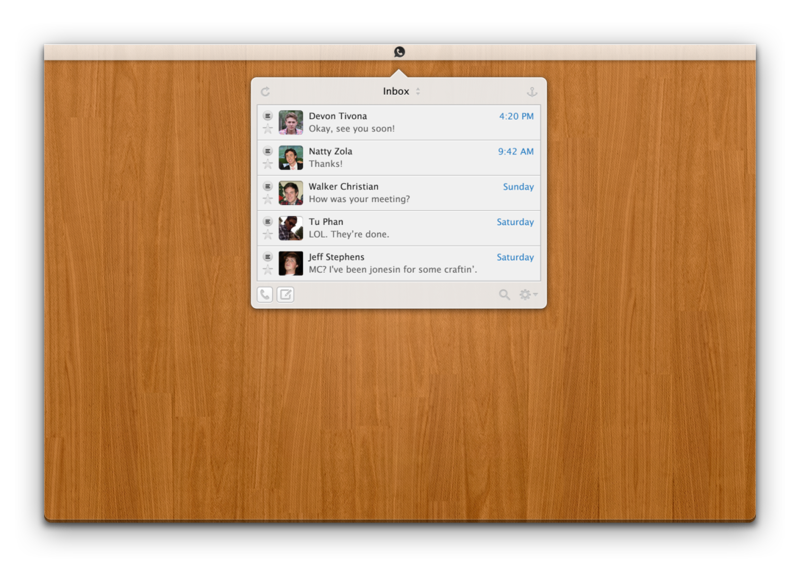 You can learn more about GrowlVoice on Lifehacker, The Next Web, MacWorld, and App Storm. I worked on GrowlVoice as a personal side project from 2010 to 2012 while I was at college. The icon was both designed and generously donated by TJ Kohli. GrowlVoice ranked as high as top 15 on the overall paid Mac App Store charts. It sold over 20,000 copies since its release in early 2011. Google revoked GrowlVoice's access to Google Voice in April of 2014 as part of their integration of Google Voice into Hangouts. As such, GrowlVoice has been officially discontinued and is no longer available on the Mac App Store. I publish open source libraries for iOS when I get the chance. UICollectionViewLayout for displaying cells chronologically. Similar to the iOS Calendar app. © 2019 Eric Horacek. All rights reserved.